Ah, finally getting a chance to write this report. I have been extremely busy with my Japanese study over the last two weeks, but I have a three-day weekend to enjoy, which will give me time to unwind just a little bit. 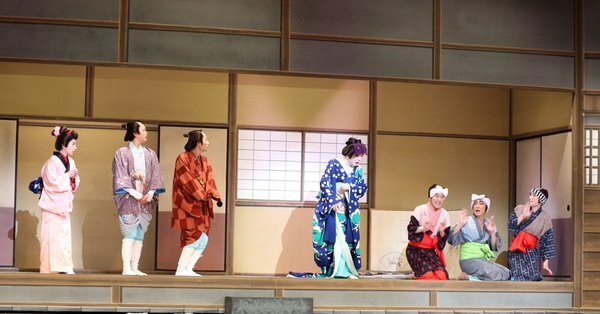 Also, Wasamin’s manager has been posting the occasional off-shot from the show, so you can see a little bit of what the play looked like. 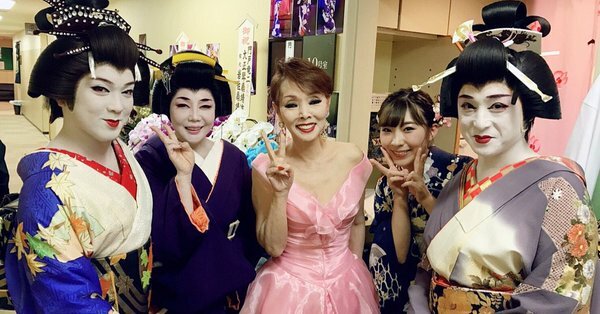 This is the same company Wasamin performed with last year at Shin-Kabukiza in Osaka. I wrote a report on that show last year. 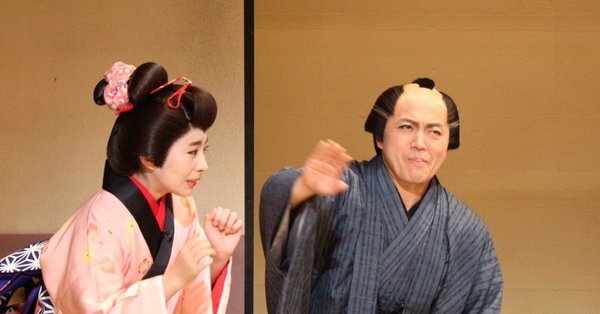 Umezawa Tomio is a well known kabuki actor and singer. He is the original performer of Yume Shibai, which Wasamin recorded for the original release of Sado no Ondeko. This performance also featured Ken Naoko, another well known singer. The show debuted on August 31st, and runs through the 25th of this month. Fan Club members were sent a pre-order form quite a few months ago. 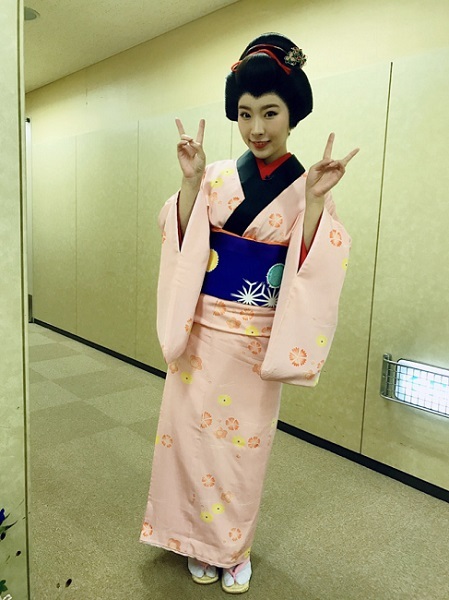 In fact it was so long ago that when Wasamin asked me which shows I would be attended I told her I couldn’t remember, and would have to wait for my ticket to show up in order to find out. It turned out that I had reserved the first Monday afternoon show, which caused a bit of a dilemma. When I originally applied for the ticket I was free that afternoon, but I had changed my Japanese class schedule to be later in the day. Theoretically I could still make it to the show on time, but I would have to dash off from class, and if all went well I would make it just before curtain. Luckily our professor let us out a little bit early, which gave me a little more breathing room. I got there 10 minutes before the show, which gave me time to get a drink and go to the restroom before finding my seat. My seat was in the first row of the top balcony, dead center. I could have gotten a much lower seat, but they were considerably more expensive. The format of this show was pretty much the same as the one I saw last year. It began with a 90 minute play, followed by a one hour concert, and finally a 45 minute dance performance. Between each part was a 30 minute intermission, which made the entire event four hours long. Quite the marathon, and part of the reason I chose to only see the show once. Unlike last year, I found the plot of this show quite difficult to follow. It takes place during the Edo period, and had something to do with a doctor (Ken Naoko) curing people of diseases, specifically hemorrhoids. 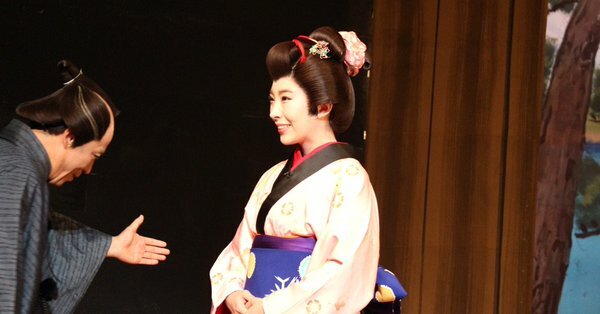 Wasamin portrayed the daughter of one of the main characters, which is the same part she played last year. 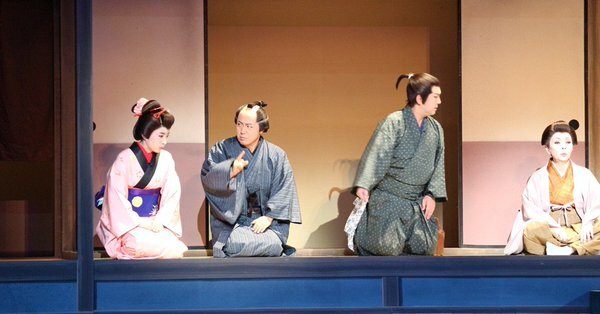 She was a major character in the first 20-30 minutes of the play, but pretty much disappeared after that. 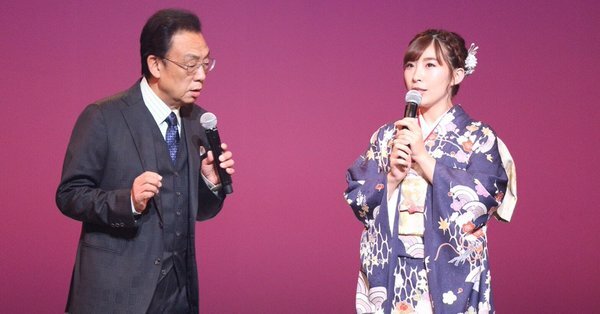 As for the concert performance, Ken Naoko was the focal point of the show, and did most of the performing, including Abayo, which is another song Wasamin has performed in the past. Misaki performed both Mujineki and Sado no Ondeko, while Umezawa sang Yume Shibai, and did the same bit as last year where he keeps starting and stopping the song because of some ‘issue’. The dancing performance was somewhat different in that last year the singers in the cast performed live for the dances. In this show they only used recorded tracks. Interestingly, one of the dances was done to a heavy metal-esque type song. Not sure what it was, but I thought it was the most entertaining dance of the evening. The theater itself had some very interesting concessions for the intermissions. There are two restaurants in the theater. One you had to preorder your meal. The other, which was downstairs, was more of a cafe with lighter fare. In addition to food, there are lots of Edo-styled booths selling various confections to eat there or take home. You don’t really have to buy anything, as they are all standing outside the booths offering samples. Unfortunately I am not a big fan of mochi, which was the most prevalent item. They also had goods booths. It was quite odd that they were pushing the Umezawa Tomio 2018 calendar. In fact, Umezawa-san even joked about that during the show. 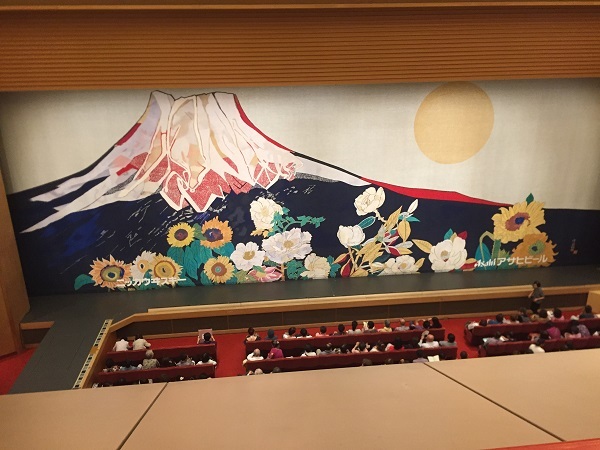 Unfortunately there isn’t any meet and greet opportunity, so I didn’t get to talk to Wasamin, but I made sure to tweet pictures from the theater complimenting her performance. Since it seems she often reads my Twitter (for better or worse) I am sure she saw it. In fact I think Wasamin is missing seeing her fans since she has been blogging and tweeting a bunch lately. We have been in her life almost ten years now, so we are like family. Iwasa Misaki Solo Concert 2019 ~The Power of Music Passed Down Generations~, January 26th 2019 at Tokyo Kinema Club, Uguisuidani!!! At first I thought “Wow, this is early.” However, the new year is creeping up on us. As is the tradition, they are offering the ‘Ichigo Bonus” to fan club members, which includes seats close to the stage, some sort of meet and greet party, and other assorted gifts. Since Wasamin’s ‘Love Live’ show sold out, I wonder how difficult the Ichigo seats will be to get. However, I will apply, and hopefully I win. Fan Club members must apply by September 28th, and the general release will be November 17th. Previous Iwasa Misaki 7th Single Re-release Week Promotional Festivities, Part 2 ~Hitting the Road~ Plus, a Couple of Big Wasamin Announcements!